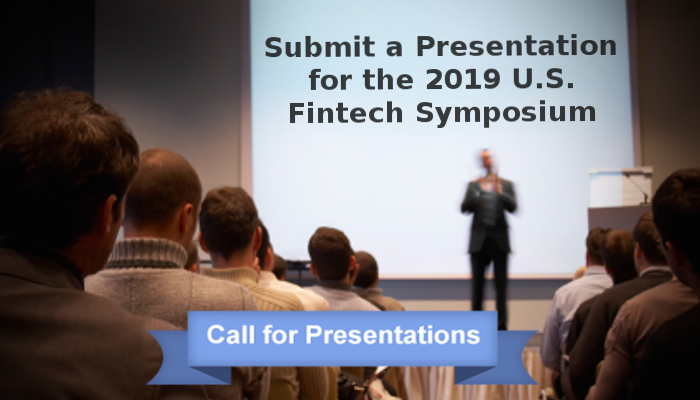 The U.S. Fintech Symposium is seeking thought leaders who can discuss the practical utilization of advance enterprise technologies in finance, accounting and banking industries. Please note that we will be selecting qualified presentations as they are submitted. All Fintech Symposium speakers will receive a complimentary registration to the event. If requested, the event organizers will also distribute approved marketing materials to event attendees via the event registration packets. Thank you for your interest in speaking at the 2019 Chicago Fintech Symposium. If you would like to submit a presentation for consideration, please complete the form below. Thank you! ---> Can't think of a great presentation title? Check out this blog post for some inspiration!